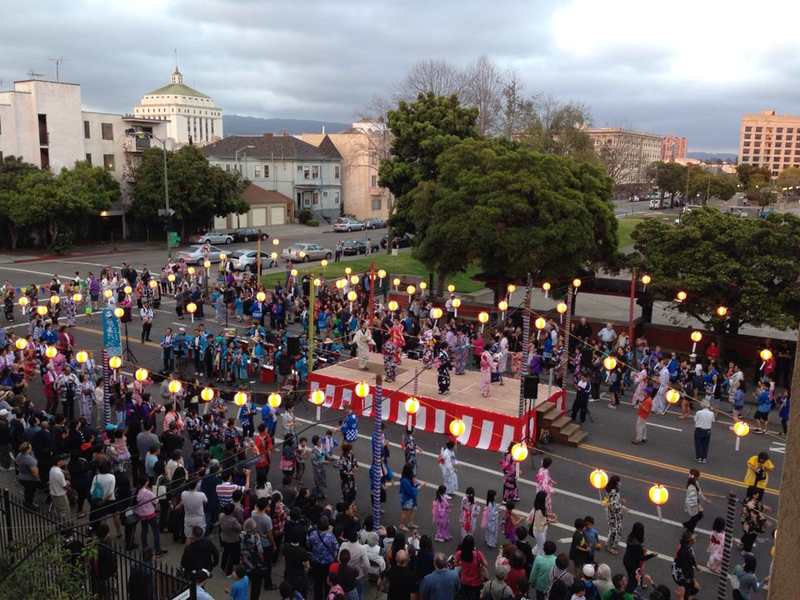 OAKLAND — Buddhist Church of Oakland, 825 Jackson St. in Oakland, will hold its Obon Festival on Saturday, Aug. 6, from 3 to 9 p.m. The celebration features Obon dancing, taiko drums, koto performance, tea ceremony, temple tours, Japanese food and music, and ikebana floral exhibit. Credit cards are now accepted. Obon practice will be held in the Social Hall on Wednesday, Aug. 3, and Thursday, Aug. 4, from 7:30 to 9 p.m. Bring kachi-kachi, fan and towel. On Sunday, Aug. 7, Hatsubon service starts at 9:30 a.m. and Obon service at 10:30 a.m. The church is located one block west of the Lake Merritt BART Station. For more information, call (510) 832-5988 or visit www.buddhistchurchofoakland.org.